The Short- The success rate of comedy sequels is not very large but thanks to a fantastically meta script and direction from Phil Lord and Christopher Miller along with hilarious performances from Jonah Hill, Channing Tatum and surprise scene stealer Jillian Bell, 22 Jump Street might be one of the best comedy sequels we have seen in recent years and maybe of all time. Sequels are hard, and most of them fail miserably thanks mostly to repetition and a belief that all you need to do to make a good comedy sequel is just show up (Please see the hangover sequels for examples of how to NOT do a comedy sequel). It is thanks in large part to Phil Lord and Christopher Miller, the directors of 21 Jump Street along with the wonderfully meta Lego Movie that 22 Jump Street works so well. Whether it’s acknowledging how old our leads look to be posing as college kids or just the ridiculousness of action comedies in general that we get the largest and most consistent laughs. Hill and Tatum as usual have perfect chemistry to match their strange brotherly relationship; the actors demand the full attention of every audience member as both continually out do the other in every scene. Hill is not surprisingly funny we already knew what he can do as a comedic actor but Tatum has grown leaps and bounds as an actor over the past few years and is at his hilarious best. When talking about 22 Jump Street you have to also mention the fantastically Meta script written by Michael Bacall, Oren Uziel, and Rodney Rothman. Whether it’s having Ice Cubes captain Dixon have an office that at one point is described as “a cube of ice” or Jillian Bell’s hilarious weird roommate character insulting Hill for looking like a 40 year old man. Bacall, Uziel and Rothman manage to have some sort of inside joke or pop culture reference in every scene. Whether it’s a chase scene across a college campus that includes a moment where they find themselves driving around “The Benjamin J. Hill School For Cinema Studies” or referring to one character as a red herring 22 Jump Street is filled with Easter Eggs. The easter eggs continue with Queen Latifah as Ice Cubes wife in the film (a Barber Shop reunion) and Channing Tatum’s Jenko joking that they could join the secret service, a dig at last year’s White House Down. Uziel, Bacall and Rothman wrote a script generous with laughs and high on some very funny inside jokes that make the movie that much more enjoyable. Along with the aforementioned Tatum, Hill and Jillian Bell, 22 Jump Street is filled with plenty of bright comedic performances from Kurt Russell’s Son Wyatt Russell, Twin brothers Kenny and Keith Lucas, comedian Jimmy Tatro, and of course Ice Cube. Cube is at his most outrageous as the always colorful captain, while Russell plays up the stupid jock as a match to Jenko. This film belongs to Hill, Tatum, Ice Cube and Jillian Bell but it’s thanks to a supporting cast that it works so consistently well. If we have learned one thing from 2014 so far it’s that Phil Lord and Christopher Miller have become one of the new dynamic duo’s of comedy, The Lego Movie was pure genius and 22 Jump Street is so well made from start to finish that I can’t imagine there is a shortage of work for these two men. As for Tatum and Hill, both will be appearing in one more film this year, Tatum is receiving the Oscar buzz normally reserved for his co-star in this years Foxcatcher which hits theaters during the oscar season and already received rave reviews during festival season. As for Hill he is starring alongside James Franco in the FBI most wanted drama, True Story which follows a Journalist and his relationship with an FBI most wanted murderer who lived outside the US under the journalist’s name. Miller and Lord will be producing the next two Lego sequels, Ninjago and The Lego Movie 2 and are also working with Will Forte on the comedy Last Man on Earth which is set to appear on fox in 2015. 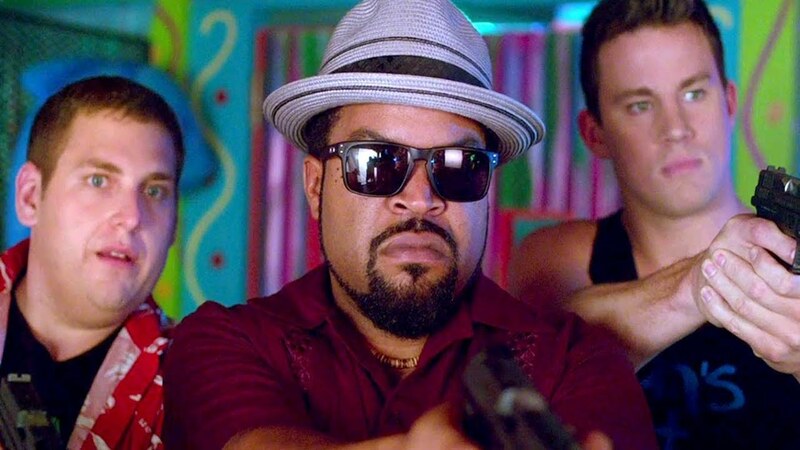 22 Jump Street already broke box office records on its opening weekend as the 2nd best opening for an R rated comedy, and it’s not surprising because it is one of the great comedic movie sequels of all time. Thanks to its cast, its writers and directors 22 Jump Street is as funny a movie you will watch in 2014. I believe you are right about 22 Jump Street being one of the all time best comedy sequels -- if not THE best, in fact. The movie is just hilarious and I couldn't stop laughing the whole time from the first gag onward! Definitely one of the two best comedy movies of the summer -- the other being The Other Woman -- both of which were great and way better than I expected they would be. Starring- Jonah Hill, Channing Tatum, Ice Cube, Peter Stormare, Wyatt Russell, Amber Stevens, Jillian Bell, Nick Offerman, Jimmy Tatro and the Lucas Brothers.